Can a Red Carpet Really Have an Impact on the Way People Shop? The 91st Academy Awards took over Los Angeles on Sunday night, and less than 24 hours later, the red carpet has already had a non negligible effect on the way people shop. For once, the biggest trendsetters were men, who steered away from the usual black tuxedo that we had become accustomed to. While there were no harnesses in sight, Billy Porter, Jason Momoa, and Spike Lee all made statements that immediately sparked thousands of searches on Lyst. Of course, women still made a strong impact. Pink dresses took over the red carpet, driving a strong increase in searches, while Frances McDormand’s surprising shoe choice quickly became one of the most influential fashion moments of the night. Ahead, see how this year’s Oscars have already impacted the way people shop. 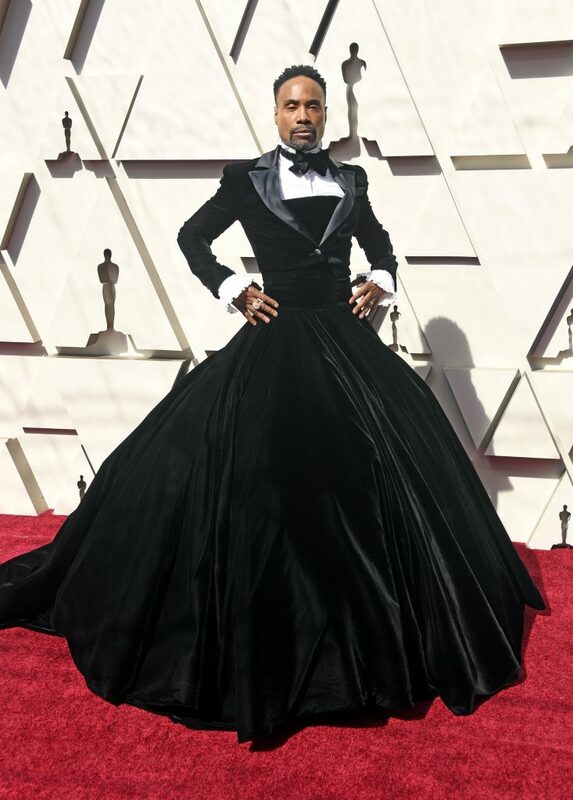 On Sunday night, Billy Porter made a statement when he stepped out on the red carpet wearing a Christian Siriano tuxedo-gown. Featuring silk lapels, ruffled sleeves, and a voluminous skirt, the velvet creation had an important meaning for the actor. “I wanted to create a space where we can have a dialogue about the masculine and the feminine and everything in between,” he told E! News after the ceremony. “My goal is to be a walking piece of political art every time I show up. To challenge expectations. What is masculinity? What does that mean?” Porter also told Vogue. In less than 24 hours following the Oscars, Billy Porter was responsible for over 361K social mentions, while fashion searches for Christian Siriano increased by 100% on Lyst. 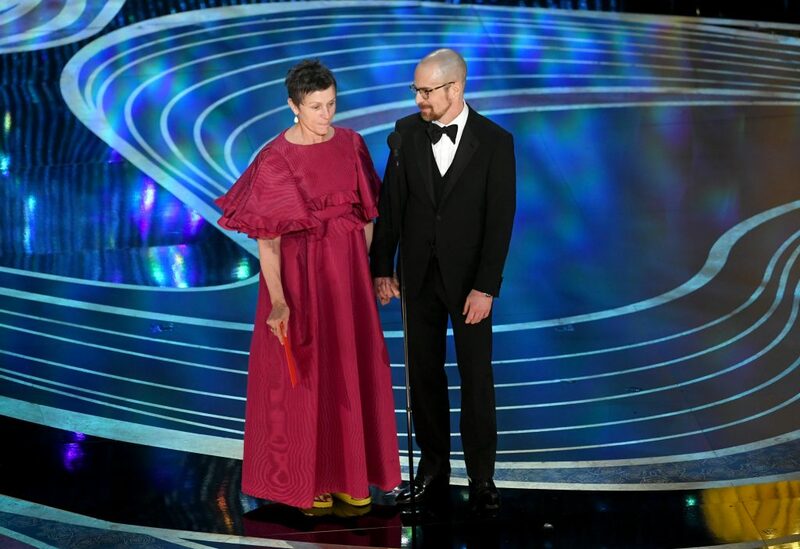 In an unprecedented move, Frances McDormand took to the stage wearing a pair of custom yellow Birkenstocks to present the Best Actress Oscar to Olivia Coleman. She paired her shoes with a pink Valentino gown from the Spring 2019 Couture collection. In the hours following the Oscars, Frances McDormand’s shoes not only became one of the most buzzed about moments of the night, searches for Birkenstock also increased by 18% on Lyst. 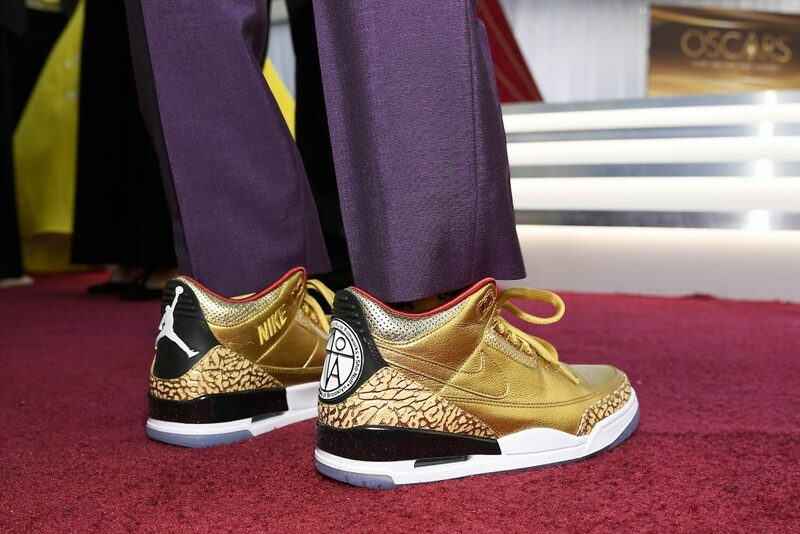 Winner of the Best Adapted Screenplay Spike Lee rocked the Oscars in a pair of gold Nike Air Jordan 3 Tinker, proving that not even the red carpet can escape the sneaker trends. Following the Academy Awards, searches for Air Jordan sneakers increased by 600% on Lyst. Capes aren’t just for superheroes. 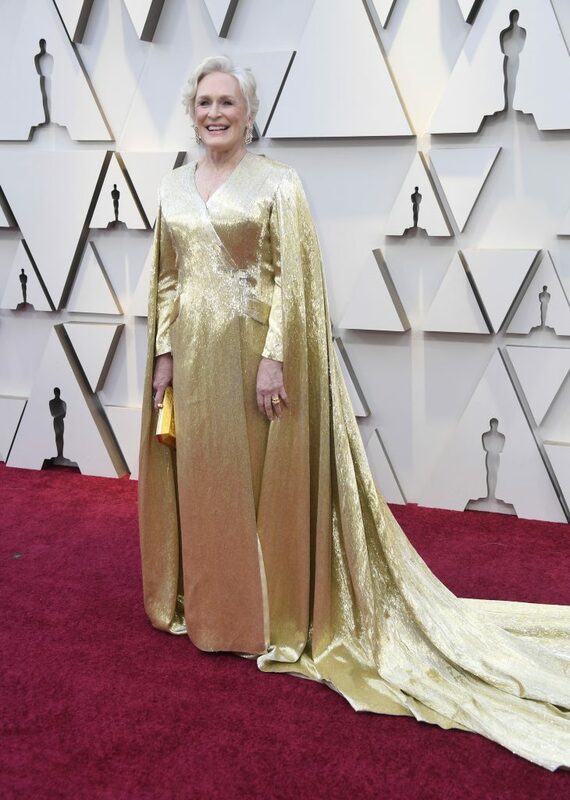 During Oscars night, Glenn Close wore a gold caped gown by Carolina Herrera; Melissa McCarthy wore a caped black and white jumpsuit; and Olivia Coleman wore a regal emerald Prada gown draped with a sheer overlay. Following their appearances on the red carpet, searches for capes increased by 70% on Lyst. 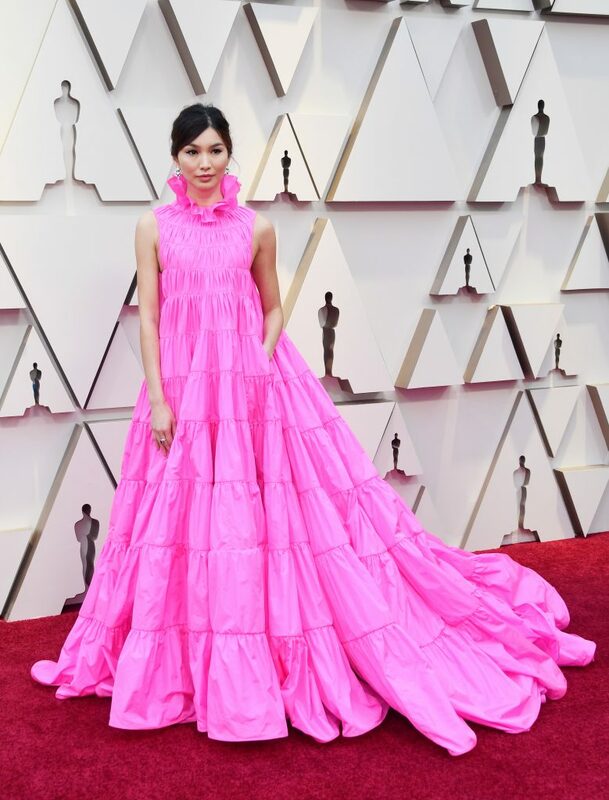 From Gemma Chan to Angela Bassett, Julia Roberts and Helen Mirren, over 10 stars wore a hot pink outfit to the Oscars. Perhaps influenced by the pink tulle dress from Molly Goddard that was worn by Villanelle in Killing Eve, this trend clearly resonated with people, as searches for pink dresses increased by 528% on Lyst in just a day. On Sunday night, 20-year-old Amandla Stenberg became the youngest Best Picture presenter at the Oscars, and the The Hate You Give star stunned in a flapper-style gown by Miu Miu. In fact, she made such an impact that fashion searches for Miu Miu gowns went up by 450% in less than 12 hours. 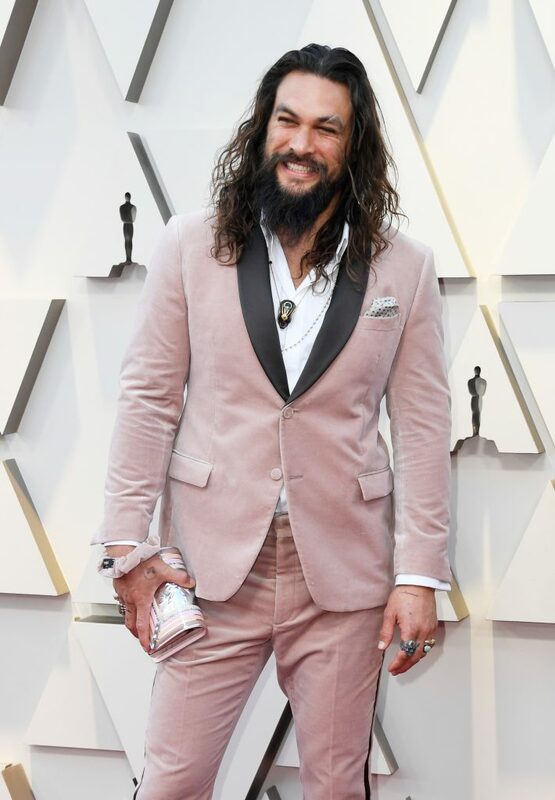 Jason Momoa’s pink velvet suit by Fendi (designed by the late Karl Lagerfeld) and matching scrunchie made waves as soon as the actor stepped on the red carpet, with fashion searches for velvet blazers increasing by 750% on Lyst in just 24 hours. 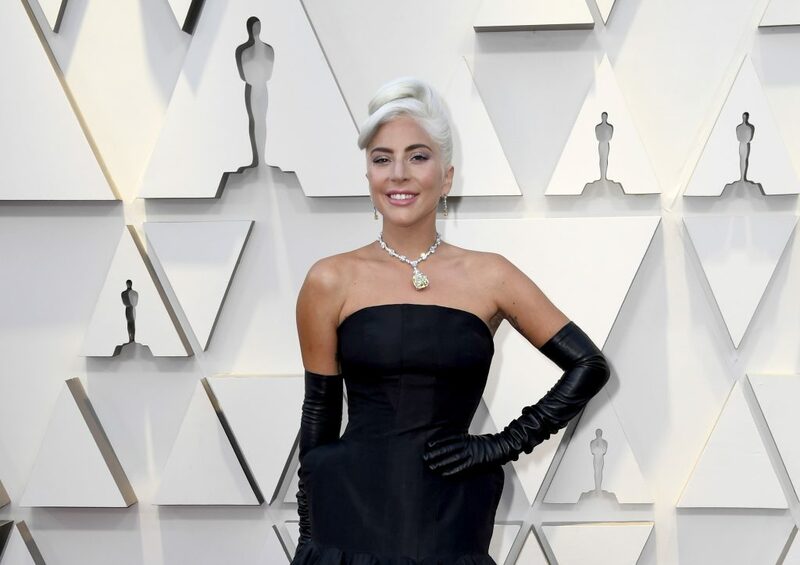 Lady Gaga, who won the Oscar for Best Original Song, wore a strapless black gown by Alexander McQueen, but it’s her jewellery that truly made people talk. For her big night, Gaga wore a yellow Tiffany diamond that was first discovered in 1877 and last worn by Audrey Hepburn in Breakfast at Tiffany’s. Valued at more than 30 million dollars, the stunning piece also featured 100 carats of white diamonds; and less than 24 hours later, searches for the necklace were up by over 5,000%.